Michael Jordan is widely viewed as the greatest basketball player of all-time. MJ changed the game forever, with his trademark moves and incredible hangtime. While he was known for his prolific scoring and countless records, he also was one of the best defenders of his time. Clutch shots, incredible plays, and a low-hanging tongue, all added up to the legend that is Michael Jordan. And let’s not forget the 1988 slam-dunk contest, in which Jordan took off from the free-throw line, seemingly flying across the hardwood on his way to the rim. Alas, a new icon was born – the Air Jordan logo. What set Jordan apart from the rest of the league, was his passion and winning attitude. He truly loved the game. If you tuned in to watch him play, you knew you were witnessing something special. Ultimately, basketball is a team sport. And for all of his accolades and great performances, he likely would not have won six championships without the help of his teammates. Over the years, Jordan had many teammates, some became stars alongside Jordan. Scottie Pippen, Dennis Rodman, Steve Kerr, they all became household names playing with MJ. Of course, Rodman made headlines of his own for reasons other than basketball, but he had plenty of highlights on the court as well. Some of MJ’s supporting cast contributed to his success more than others, some only played alongside him for a short time period. In the end, this is our ranking of the best teammates MJ had while playing on the Bulls (not counting his time in Washington and definitely not taking into consideration his baseball teammates). 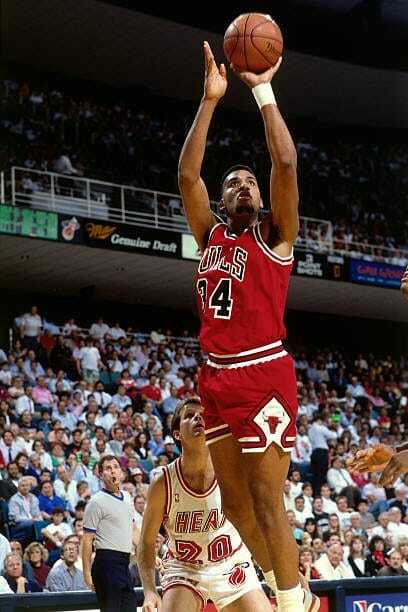 After being drafted by the Bulls in 1989 with the sixth overall pick, King was a solid contributor off the bench. Despite not completely living up to his potential, he was a nice addition for the team in the paint, and was a part of the the first three championships with MJ and the Bulls. King was traded after the 1993-94 season to the Minnesota Timberwolves, in exchange for center Luc Longley. In 2018, King is now better known as the Bulls’ commentator, who has created many catch phrases over the past decade. This sharpshooter played his role very well. 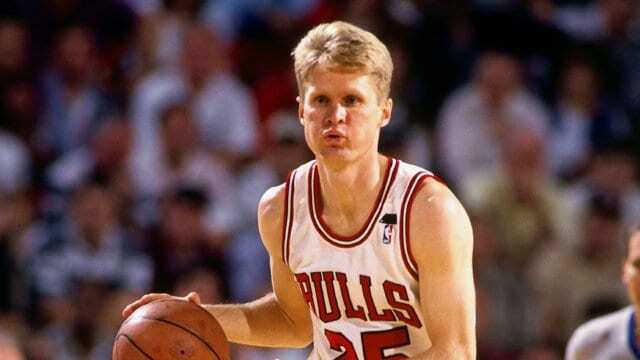 He joined the Bulls in 1988, and he was a part of their first two championships, before being released by the team following the 1991-92 season. While his role with Chicago did not materialize the way the team had initially hoped, he still managed to add value to the team, particularly from three-point range (shooting 42.6 percent from three while with the Bulls). Hodges was best-known for his achievements in the NBA’s three-point contest, which he won on three different occasions. While he spent most of his career with the Boston Celtics, Parish eventually joined the Bulls toward the end of his career. He played his final season as a pro in 1996-97, when he finally teamed up with Jordan. Longevity was the name of the game for Parish, who played for 20 seasons in the league, adding up to a whopping 1,611 total games. He also remains the oldest player to ever win a championship, winning his fourth title in that final season of his career alongside Jordan. Gilmore deserves his spot on this list, as one of the greatest NBA players that Jordan has ever played with (even though their playing time together was limited). He was inducted into the Hall of Fame in 2011, being recognized for his tremendous feats, including ABA champion, and ABA Most Valuable Player. Originally a strong force in the ABA, Gilmore still was highly effective when he played for Chicago. He played four of his total six All-Star games as a member of the Bulls, in just five total seasons with the team. An incredibly talented player, Woolridge averaged 22.9 points per game in the 1984-85 season, when MJ was in his rookie season. Together, they averaged just over 51 points per game. He was perhaps most well known for his great dunking ability, and one of the first players to excel at the alley-oop. In 1986, he was also the last player to lead the Bulls in scoring, prior to the eventual dominance that Jordan reached. 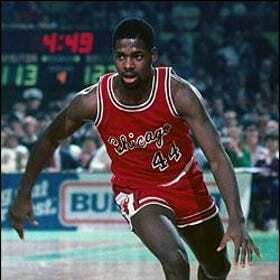 While he was technically drafted by the Cleveland Cavaliers in the 1985 draft, his rights were traded to the Bulls. His main task was to be a physical force for the team, and to “protect” MJ against some of the more physical defenders and teams back in the late 1980’s. 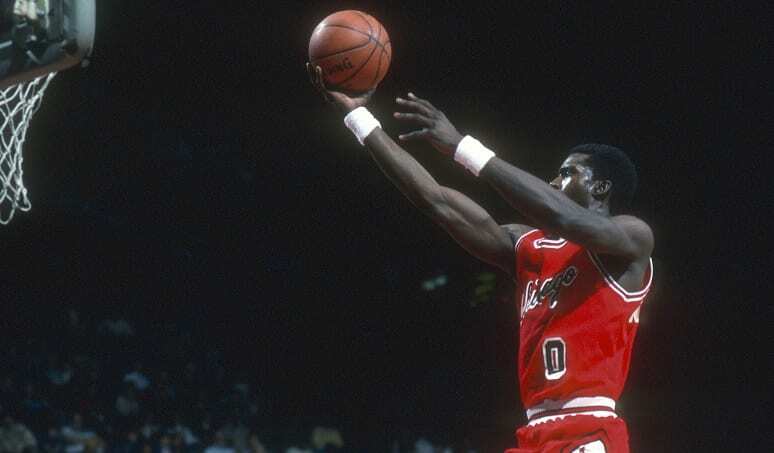 Oakley provided a boost on both sides of the floor, and he was the league’s second-leading rebounder for two consecutive seasons, from 1986-1988. While he wasn’t a part of any of the Bulls’ championship runs, his career accomplishments still deserve to land him on this list. 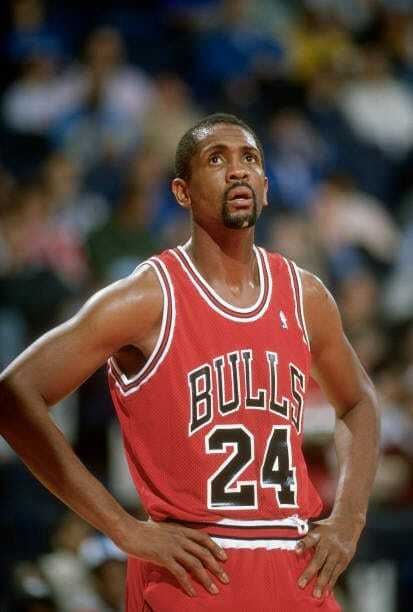 Despite playing most of his career with the New York Knicks, Cartwright reached the pinnacle of the basketball world after joining the Bulls in 1988. He was part of a trade that sent Charles Oakley to New York, and he made the most of his opportunity. Cartwright was part of the core Bulls team that won three championships from 1991 through 1993. For long-time NBA fans, he was likely most remembered for his awkward shooting style. Longley was highly underrated, and made his presence felt during his five seasons in Chicago. While his stats don’t exactly jump off the page (9.1 points, 5.4 rebounds, 2.1 assists per game with the Bulls), he was a substantial part of what the Bulls were able to achieve, setting the tone down low with his massive build at 7’2. He has three rings to show for his efforts, which were all gained with the Bulls. 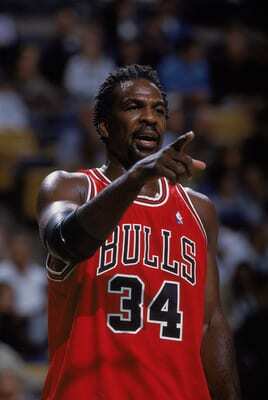 He was the starting center during Chicago’s 1995–96 season, in which they had a 72-10 regular season record. As a complementary guard during Chicago’s first three-peat, Paxson played the role to perfection. He made big shots when his team needed him the most. Playing with MJ, Paxson provided a nice addition by becoming an efficient outside shooter. 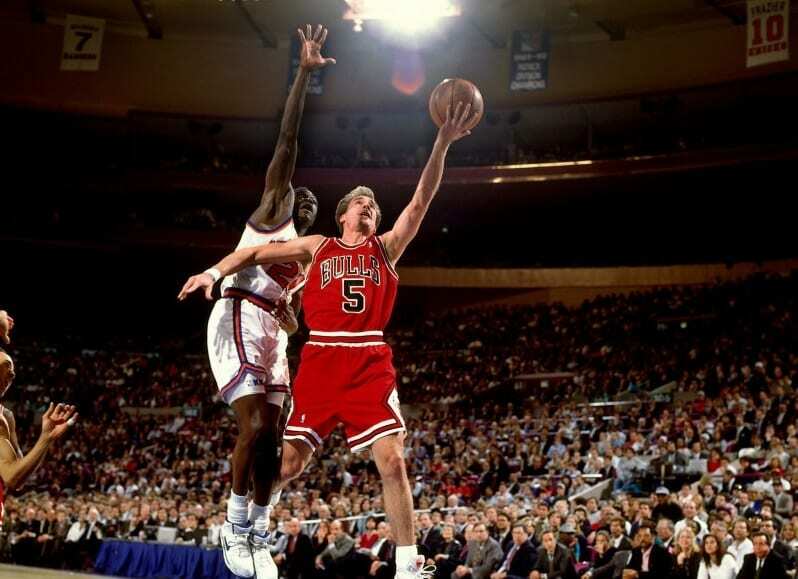 Most notably, he is remembered by Bulls fans for hitting the game winning three-point shot in Game 6 of the 1993 NBA Finals against the Phoenix Suns. That shot sealed the first three-peat for Jordan and the Bulls. Although he is mostly considered a role player, Kerr was one of the best pure outside shooters in NBA history. He continues to hold the NBA record for best three-point percentage of all-time at a staggering 45.4 percent. Having a shooter like Kerr was a major boost to the Bulls, as he was able to capitalize on open shots when defenders flocked toward Jordan. Kerr won a total of five championships during his playing career – three with the Bulls and another two with the San Antonio Spurs. A first round selection by Chicago in the 1989 NBA Draft, Armstrong was incredibly talented. While he took a backseat to Jordan in the early part of his career, he was still able to add value to the Bulls during their first three-peat. He had a great three-point shot, and was able to create plays with his athleticism. Naturally, he flourished when MJ left the game to play baseball, but he never materialized to the kind of player some expected him to become. 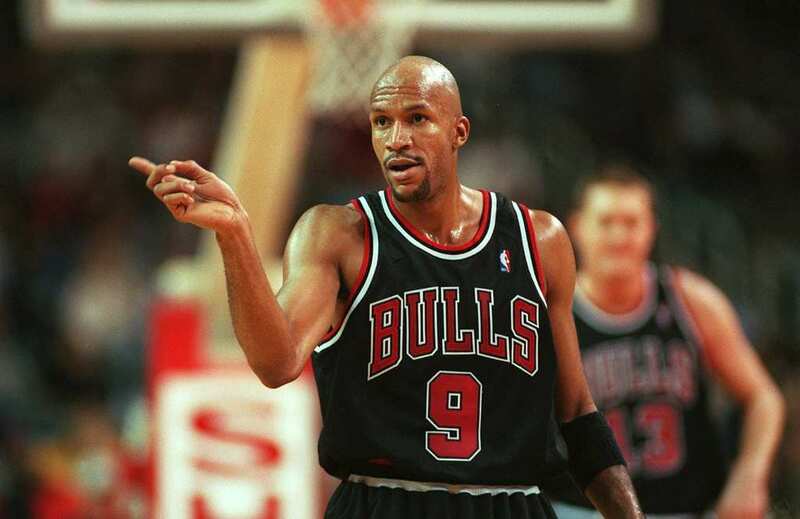 Ron Harper joined forces with the MJ and the Bulls in the latter part of his career. 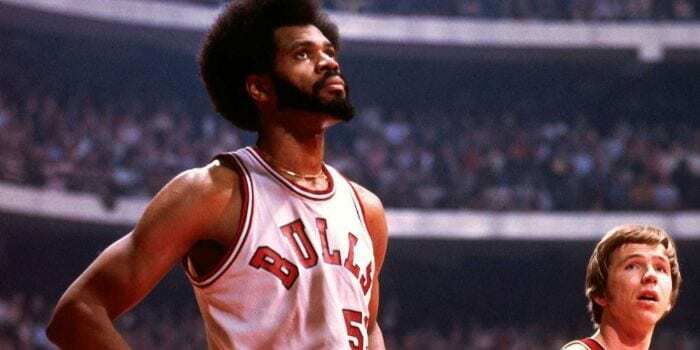 While several injuries hindered his athleticism to a certain degree, his basketball IQ and defensive tenacity were highly appreciated by a Bulls team that already had enough scorers. Nevertheless, Harper deserves this spot on the list both for his overall career production, as well as his contributions to the Bulls. Harper was a staple of Chicago’s second three-peat team. He later joined forces with Kobe Bryant in L.A. and added two more titles to his impressive resume. 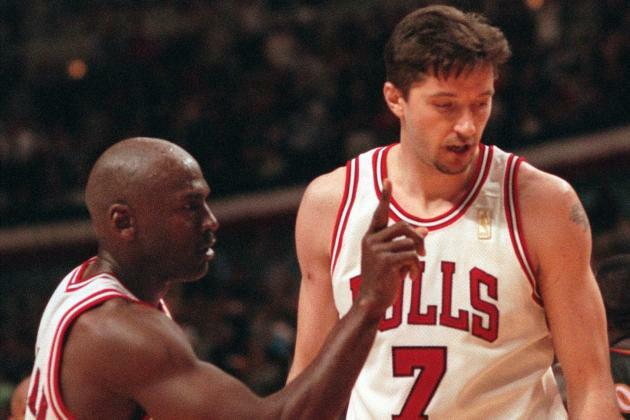 Kukoc was a highly impressive addition to the Bulls when MJ left to pursue his baseball career. In his absence, the Bulls were looking for someone who could help create plays for the team. Even at his size at 6’10, he possessed strong ball control and the ability to make outside shots. He was the full package that ultimately helped the offense create plays during the Bulls’ second run of championships. The Croatian basketball star had incredible versatility, as he was able to play all five positions on the court, which helped Phil Jackson be creative with the team’s lineups. 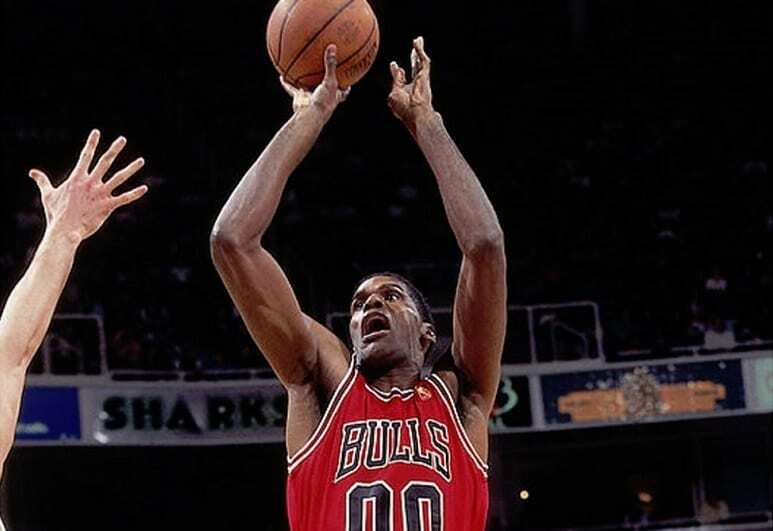 A major factor in the Bulls’ first three championships, Grant was a rebound machine, as he willed his big frame to grab boards and secure more possessions for his team. 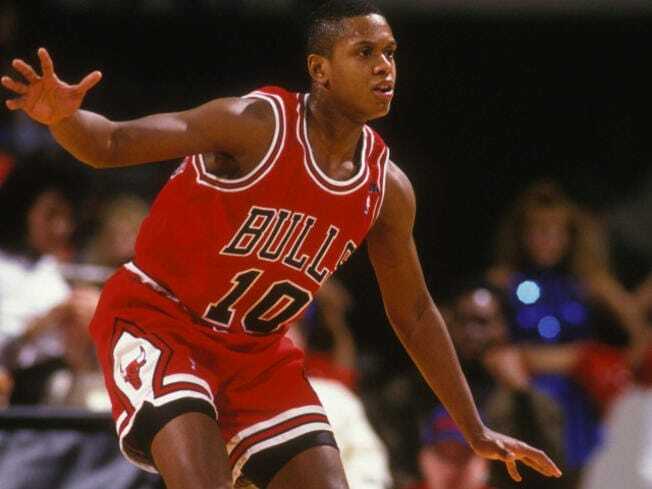 He was a staple of the physical and defensive style of the early 90’s Bulls teams. He totaled four championships during his career, including one with the Phil Jackson coached Lakers. Grant was famous for wearing prescription goggles, which helped improve his vision. 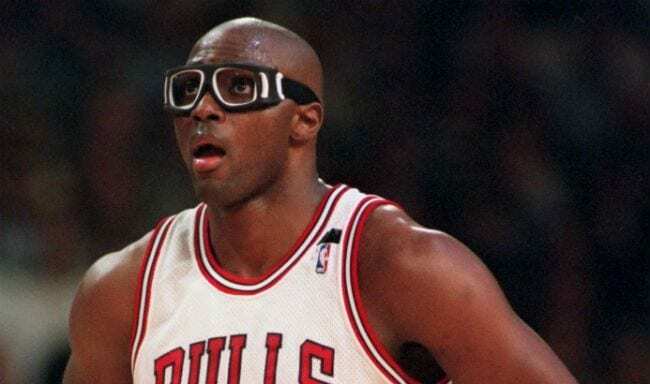 While he eventually had surgery to remedy the issue, he continued to wear the goggles as an inspiration to kids around the world. To say that Rodman was ahead of his time would be an understatement. Aside from his crazy hair and tattoo-covered body, Rodman was a character on and off the court. He provided a major spark for the Bulls in the late 90’s. In the three years he spent with Jordan from 1995-1997, he averaged 15.27 rebounds per game, and provided a strong presence inside. 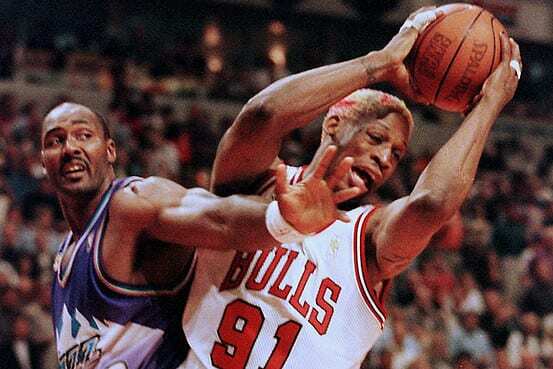 There is no doubt Jordan benefited from having Rodman’s toughness and grit on his team. 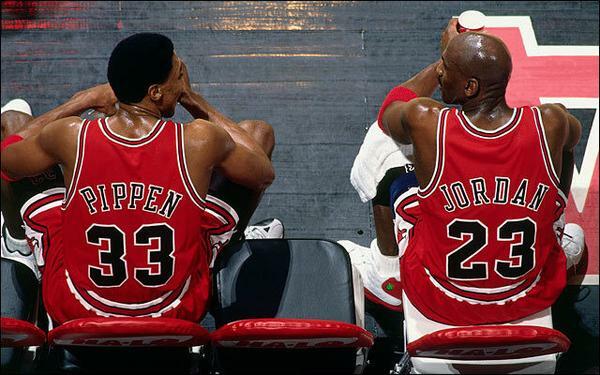 This one was easy, as Pippen was the only player who was there for all six of MJ’s championships. He was an efficient scorer in his own right, contributing 16.1 points per game over the course of his career. But Pippen’s true prowess was his ability as a defender. Together with Jordan, the two brought a strong defensive presence, which went a long way to securing their two three-peats together. It takes a great player (and person), to be able to perform as well as he did, and also relinquish much of the glory that Air Jordan received.